HARRk! Come near! Come ye from afARR! Today is the day pirates use their vocabulARR! If ye be confused or wary, fear not. A list to aid you, is what I’ve got. Now limber your tongue and prepARRe to talk. You must learn the way, if you walk the walk. But take heed, I say to what you learn. It’s a diction addiction that might make you turn… pirate. Posset to Syllabub to Egg Nog ~ Sharon Lathan’s Christmas Food! In the Middle Ages, posset was a warm dish served to invalids and those suffering from a fever or cold. Milk was heated and then curdled by adding spiced wine, spirits, or ale. Egg yolks might be added as a thickener or to create a smooth thin custard-like drink. During the 18th and 19th centuries, lemons and oranges were used as part of the flavoring and/or for their acidic juices to aid the curdling. Sack posset made with Spanish fortified sherry-style wine was particularly popular in the 15th and 16th centuries. By the mid-18th century posset tended to be thickened with ground almonds, crushed biscuits, or egg yolks instead of alcohol. Posset consistency, while thick, remained drinkable. For example, in Shakespeare’s Macbeth, Lady Macbeth slips poison into the possets of the guards outside Duncan’s quarters so they wouldn’t get in her murderous way, the beverage drank by the guards. Possets left sitting or allowed to cool would separate, creating a dessert layer of sweet gruel floating above the liquid. Posset pots, made of ceramic or metal, were specifically designed for the job: the spout allowing the liquid part to be poured and the thick layer eaten with a spoon. To enjoy Lady Sharon’s complete post, visit her Happily Ever After Comes True blog. Author Sharon Lathan Does it Again! ~ Mincemeat Pies, a Regency Dinner Must! A Regency Era Christmas centered on food and dining with family, much as is does today. For the dinner entrée cook would include goose, pheasant, venison, or a beef haunch. Turkeys were served but not as the main meat focal point. If fortunate they would snag a boar’s head with fresh rosemary and basil adorning his head and apple in his mouth placed a silver platter. Accompanying a Regency Christmas meal must be a mincemeat pie. Mincing up meat and placing the bits into stews or pies is as old as time, primarily as an economical way to use the leftovers. The Christmas pie (mincemeat pie) originated with the Crusaders in the 11th Century. The spices brought back to England – cinnamon, cloves, and nutmeg – were symbolic of the Magi gifts to the Christ child. In honor of His birth, the pies of sweetly spiced meats were baked into small oblong shaped pastries indicative of a cradle. Now, to be fair, there are some who refute this story. However, there are far more references stating this as the origination. Whatever the case, these pies have always been associated with Christmas and the Epiphany, and it is still considered lucky to eat one on each of the 12 days of Christmas. They were often called “wayfarer pies” because they were given to holiday travelers or as gifts while visiting. Edward Kidder’s recipe in Pastry and Cookery of c.1720. Read the rest, including a recipe, at Sharon Lathan’s Happily Ever After Comes True. From Sharon Lathan: Christmas Food ~ Stuffed Fowl! Congrats to the Winner of Alienne Mine!!! 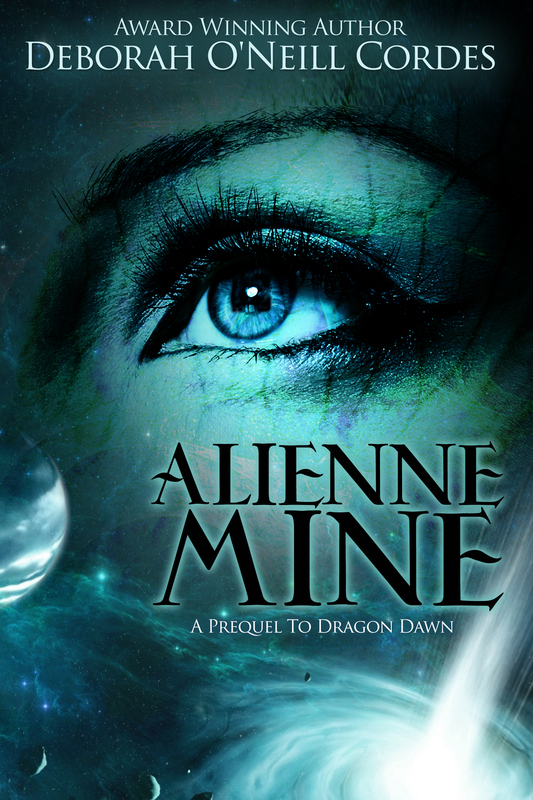 Congratulations to Lady Liette for winning an ecopy of Deborah O’Neill Cordes’ latest release Alienne Mine!!! Huzzah and Hoorah!!! My apologies for not announcing Lady Deborah’s winner sooner, Lady Liette. I got caught up in a very tight editing schedule and didn’t realize I’d let this slip. Guess you could say, it’s keelhaulin’ time for me, eh? I’ll settle for a a jug of rum… LOL!!! Why rum, you ask? I just got the greatest news, me hearties! Two of my books have been sent to the final round in The Romance Reviews Readers’ Choice Awards ~ Winter 2015!!! This is a first time my books have finaled in a contest. I’m on cloud nine! Woot!!! Katherine’s Podcast Interview at Indy Film Wisconsin’s Writer Wednesday! Just back from a wonderful beach vacation at Gulf Shores, AL! I adore it when my family can all get together. Only two things could have made our vacation better, my oldest son and his crew being able to join us from Japan and a bit more sunshine. (Out of a week of overcast skies, we only had two good days of sun. Boo!) But I’m not complaining. No. Just being together made all the difference. Adding further enjoyment, there were no undead monkey sightings. Woot!!! I’ll post some pictures in the coming days. In the meantime, I’m extremely honored to announce I was a featured guest on Wayne Clingman’s podcast show Indy Film Wisconsin Writer Wednesday today. Yeeaauuss!!! Thank you, Pirate Wayne, for being such an awesome host! Until next time, I wish you fair skies and glorious adventures! I’ve been doing a lot of pondering lately about my life and how much time I spend at the computer or writing in one of my book bibles. So many stories to write, so little time seems to be my mantra these days. Black Sails just ended. (Major bummer! Shout out #BlkSailsBrethren!) Outlander is back on. (Yeeaauuss!) I’ve discovered the new Daredevil series on Netflix. (OMG!!! So addictive!) I’ve got several DVDs on sailing ships, the Captain Horatio Hornblower Series with Ioan Gruffald (Swoon!) and several others to watch. Bitten is back!!! (Love Clay!) Penny Dreadful is returning. (Who doesn’t want to find out more about Josh Hartnet’s character?) And of course, there are several great shows I like to watch on t.v. It’s so hard to stay focused, especially with so many media outlets vying to capture my attention online and off. I love it all! Holy Cat-o-Nines! It’s been a long time since I’ve written in my Captain’s Log! Life has taken me on so many adventures this summer, me hearties. RT in May, which I plan to continue blogging about, Handsome Son #2 home on leave from Alaska for 3 weeks, Darling Daughter #1 moving in with her 20 month old son after a very difficult divorce, traveling to Nebraska for 8 days to visit Handsome Son #1 and his family, and finally my rogue’s surgery not a few weeks ago. Lately, I’ve hardly met myself coming and going. It’s beginning to take a toll. So prior to doctoring rogue during his 30 day rest after surgery, I made a life-altering decision. I’m leaving my day job to write full-time. Woot!!! Pull out a rum cask, Jack! 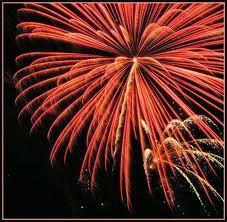 It’s time to celebrate!!! Meanwhile, I’ve been part of some amazing contests and had tons of fun! But summer’s not over yet and there’s still more adventure to be had. esKape Press celebrates its one year Anniversary in September. So hang around like a barnacle and make yourself at home. Great ports to be made!